Flooding outside Trumann High School. TRUMANN, AR (WMC) - Trumann School District will be closed Wednesday, Feb. 13 due to flooding. The school district announced Tuesday night that Wednesday will be an AMI Day. 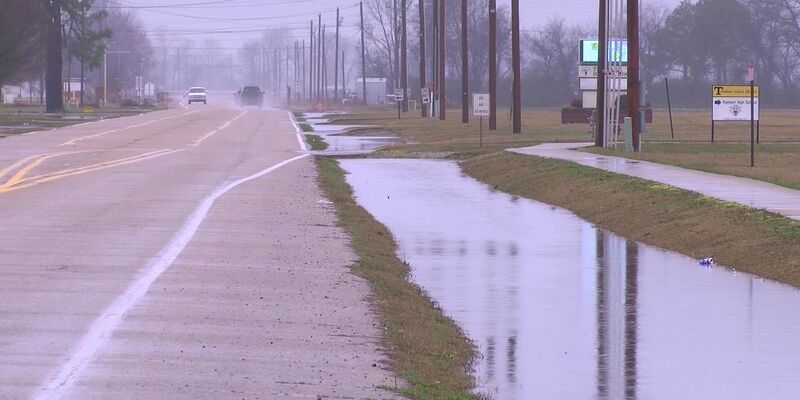 Flooding has caused several areas of Trumann and Highway 69 to impede bus transportation travel. Some areas have dried but in other areas, flooding has worsened. Additionally, due to the city drainage system being full from localized flooding, the school’s sewer system is not able to function properly at the TMS campus.